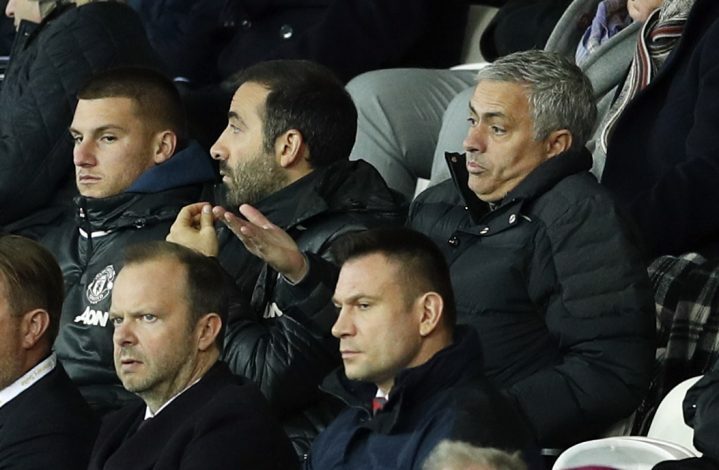 Jose Mourinho has questioned the mentality of some Manchester United players, insisting that the squad must realize the importance of winning at a club of Man United’s stature. Despite losing just three league games this season, the Red Devils remain four points off the final Champions League position, while a 14 point gap between them and the leaders Chelsea has virtually drawn them out of the title race. A total of nine undesirable draws, including six at Old Trafford, has left Man United sweating over their European ambitions for next season and Red Devils’ boss Jose Mourinho has claimed that few Man United players may lack the ‘winning mentality’ required to bring the glory days back at Old Trafford. Ahead of Man United’s visit to Premier League holders Leicester City, Mourinho said: “I told you in the first press conference, the first or second, that I was speaking about being champions because I don’t think there is another position that a manager can have at this club. “I didn’t know the players very well. I didn’t know that some players need time to live with this, because it must be part of your natural habitat. The Portuguese manager, who has won three Premier League titles during his two stints at Chelsea, has already offloaded midfielder Morgan Schneiderlin to Everton and winger Memphis Depay to Lyon last month, while several other first team players including club captain Wayne Rooney, Anthony Martial, Ashley Young and Bastian Schweinsteiger have been linked with a move away from Man United this summer. “They need that time to go out of their comfort zone or a zone where they are protected that we assume the objective is not to win, that also takes time,” Mourinho added.